Samsung is one of those names in the smartphone industry who is hungry for innovation with their smartphones and other smart devices. This time, we are talking about their foldable smartphone aptly named as Samsung Galaxy X. To differentiate their smartphones, companies do years of R&D (Research and Development) before they reach to a conclusion that there a market feasibility of their innovative products or not. And that is just one of the factors involved when it comes to concept phone coming alive in the market. That’s what has been going on with Samsung, the brand is taking the required time to perfect their foldable display smartphone/tablet hybrid. It’s been quite a time since the first leak of Samsung’s foldable display technology patents appeared online. The world is waiting for a smartphone with truly bendable display smartphones to come to market. While a couple of brands have tried their hands with flexible curve displays like LG’s G Flex, we are yet to see a display that truly folds itself manually or automatically. For a technology enthusiast, IFA is something to look out in the second half of the year, after MWC revelations in the first half of 2017. The technology expo that happens every year in Berlin is pegged to be the platform where Samsung would officially lift the curtains to their elusive foldable smartphone, the Galaxy X. The report comes from a reputed Korean news network that the South Korean electronics giant is going to showcase the innovation in display technology in September at IFA 2017. So, expect Samsung Galaxy X release date to be soon. When it comes to Samsung, they like to keep people guessing. The electronics giant is pondering over the size of their foldable display. During the early days, the brand referring to the leaks from various certification sites, it was rumored that bendable device would sport 8-inch displays when in hybrid mode, which is now suggested to have cut down to 7-inch. While the primary screen would be probably around 5-5.5-inch ballpark, it can be possible that Samsung might be working on two foldable models. Though, it’s hard to say which one will make it to the public’s hands. Do you think a 4K screen is a plausible resolution on a foldable display technology? If your answer is “Yes”, then, you might not be thinking practically. Because equipping a 4K resolution on something very new seems too ambitious. Of course, there are rumors going on that the new Galaxy X smartphone would come with a 4K screen. But if you go by facts, Samsung demoed a prototype of the bendable display technology at SID Display Week 2016. There the overlapped OLED display was revealed sporting a 5.7-inch 1080p resolution. 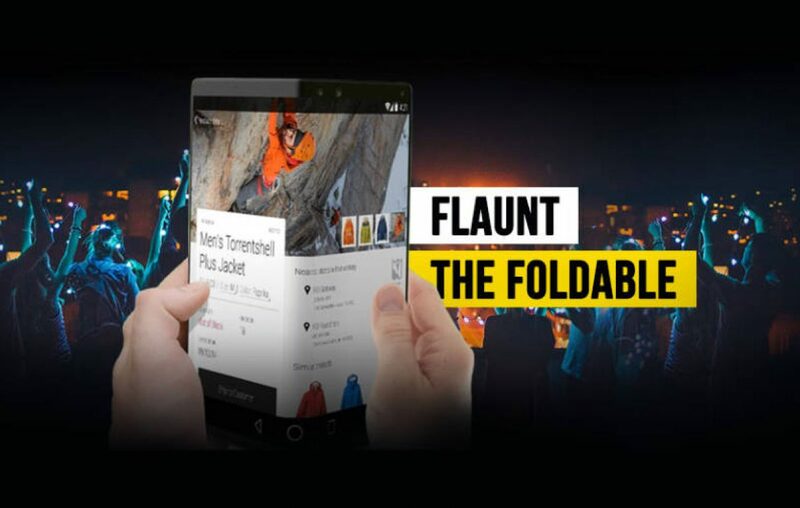 Considering that Samsung revealed this last year, they are likely to incorporate this technology and specs on the upcoming Galaxy foldable smartphone. Catching on the trend, industry experts and leaksters have pegged that Samsung would be exploring dual camera capabilities on their next dimensional smartphone. While it was believed Samsung’s Galaxy Note 8 would be the first to sport dual cameras when it arrives in Fall this year. But SamMobile, the pioneer in leaking information about upcoming Samsung products suggests that we may be seeing the Galaxy X sooner than we thought. 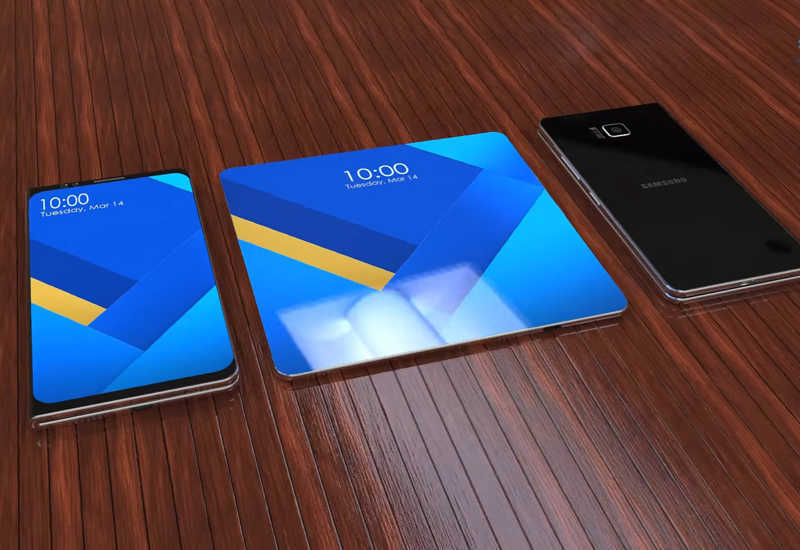 This smartphone would be a stepping stone for Samsung and coming generation of smartphones. To get it right, Samsung would be extensively asking for feedback from its Galaxy X users. The brand is known to produce their products in high volume as demand for their high-end devices is quite high. But given the stature of rumored foldable phone, the brand would be limiting the units to 100,000. So, who would be able to nab it first? The eccentric smartphone would probably have limited availability in selected regions and networks. Samsung is probably going to release their Galaxy X Smartphone at/before IFA 2017. It would hit specific regions like UK, US, Poland, South Korea, and a few more. 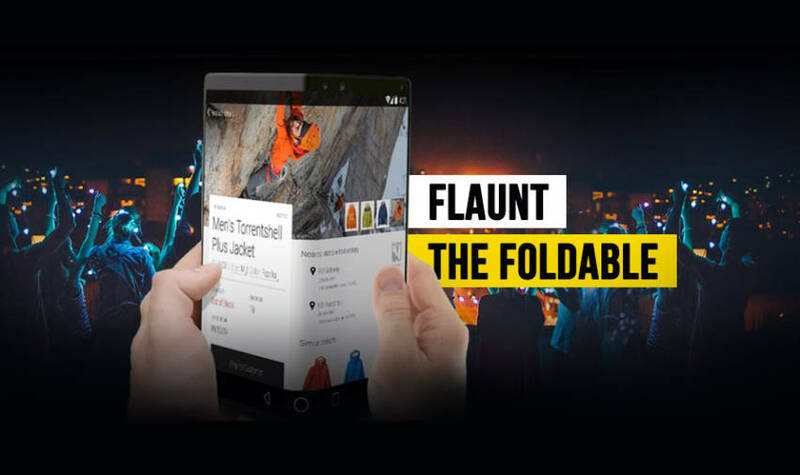 While nothing concrete can be said about the price of the foldable smartphone, as it would be an unknown territory, a first of its kind phone. What are your thoughts on the new Samsung Galaxy Smartphone? Shoot them in the comments section below. Previous article How different is Nokia Edge from Samsung Galaxy S7 Edge?